“…we are being placed in situations (for each of us the details will be different) in which we have to work out how to be here differently because how we’ve been doing it up to now has not been working so well. “Many of these situations appear to arise out of nowhere, the kind of thing we can all too readily put down to ‘bad luck’ or a ‘marked card’ in life…We may be only too tempted to feel hard done by, victimised by life, treated unfairly by the gods of chance. “But in fact the urgency of the Cardinal Cross tells us there’s no time for self-pity and ‘oh poor me’ rhetoric… what and how we currently are is effectively being stored as a prototype for who we become in due course. “We have a window of opportunity throughout the coming week, to effect significant change in ourselves over a short space of time, merely by changing how we act and react in the present. The question is, will we open the window or leave it boarded shut, refusing to embrace the possibility of such radical change? “I say ‘merely’ but of course, the things we really need to change are usually the bits about ourselves which are the most rigid and intractable; those habits of thought, feeling and behavior that seem to have become the very essence of who we are, even if they repeatedly cause us on-going problems! “The week ahead is full of power – raw, creative, cosmic power. It comes not as a gift with no strings attached, but as an opportunity available to those prepared to knuckle down and do the work of deep change. “For those ready and willing to do things differently, to let go and challenge the most intransigent parts of their nature, this week comes with profound hope and possibility. “But if we resist thisclarion call we may find ourselves sinking more deeply into our own particular brand of suffering. The choice is ours, even when it doesn’t feel that way, because believing we don’t have a choice about who we are is the biggest lie of all! “…Life is exceedingly tough for many people right now, if not physically then emotionally or spiritually, or all three-lly! The Cardinal Cross provides the opportunity for new beginnings, but in order for those beginnings to enable fully present lives, we must be increasingly free of the blocks, obstacles, suppressions, repressions and ‘issues’ which bind us. “There is currently a massive purging taking place which is shifting these blocks to allow a free flow of life energy at an exponential rate. Think of it as a cosmic enema! It’s not pleasant, it’s very ‘icky’ and extremely undignified. But we need it none the less, because those stubborn blocks will not shift without some pretty powerful encouragement. That’s why they’re still there, so strong, so rigid, so ridiculously familiar and yet so incredibly frustrating. “And of course, when life is tough we resort to those questions I mentioned earlier, and the answers we come up with may not help one iota if we’re still thinking in terms of life meeting our needs and fulfilling our personal desires. But if we can sink below the question into the silence beneath, we may just begin to sense that life itself is fulfilled through us in every moment, no matter what we’re doing, thinking or feeling. “We are the fulfilment of life just as we are: living, breathing, thinking and feeling. The purpose of our existence is simply to live and be aware of living, to be conscious of the life force coursing through our veins and to ground it more and more deeply as we remove our inner blocks and gather ourselves into this present moment. “As we each receive the energy of the Cardinal Cross coursing through our veins in the coming days we have a choice how we use it, the questions we want it to answer and the thoughts, feelings and emotions we want it to fuel. Beautifully written, and SO true! Sharing this on my Facebook page, I am sure our “Likers” are going to love it. Thanks so much for sharing your wisdom and insight on this very important moment! I agree with Carolina, and I’m also going to share on Facebook! Thanks! Yes, thank you. We had some important decisions to make in our household, and this is the spirit in which we made them. With a clear head and a clear heart–who could ask for me. Honoring ourselves is blessing enough. But to discover that we actually make better decisions when we understand this is invaluable. Lots of patterns andots of questions, a laced with a touch of fear. Yet the Phoenix is ready for a rebirth so she’s sitting, watching and meditating. All this confirming the work goes on and it’s fully worth it. Much gratitude to your insights. 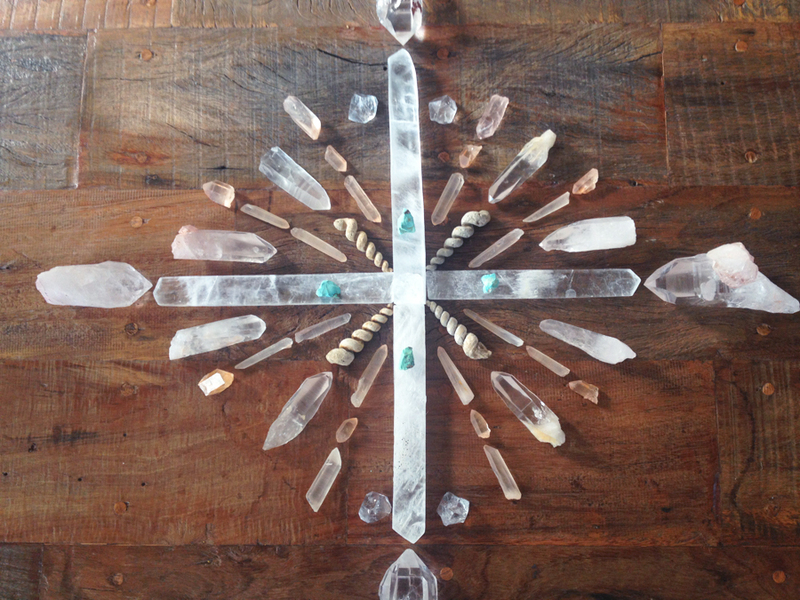 I love this post and these beautiful crystals! I love this and just saw it the other day in another post on Facebook. I have not been able to access Sarah Varcas’ website without my computer sending me a warning of a virus infection. Could you please inform her of this? Thank you! Yes – and fulfilling personal desires can actually keep some of us alive – for some its very important to ask for what we need in order for us to be able to be fully who we are. I like this piece however i feel its part of the old ego shame that keeps us from asking for our desires to be met – Ask and ye shall receive! I don’t think it’s a coincidence that I stumbled across this post this morning; I have not been myself for the past several weeks and it was getting to the point where I felt I wouldn’t be able to climb out of the slump I was in. Trying to ignore it certainly didn’t make it go away, but as soon as I consciously acknowledged it and told myself it would pass, I saw this post. Thank you. How long does this influence last until?